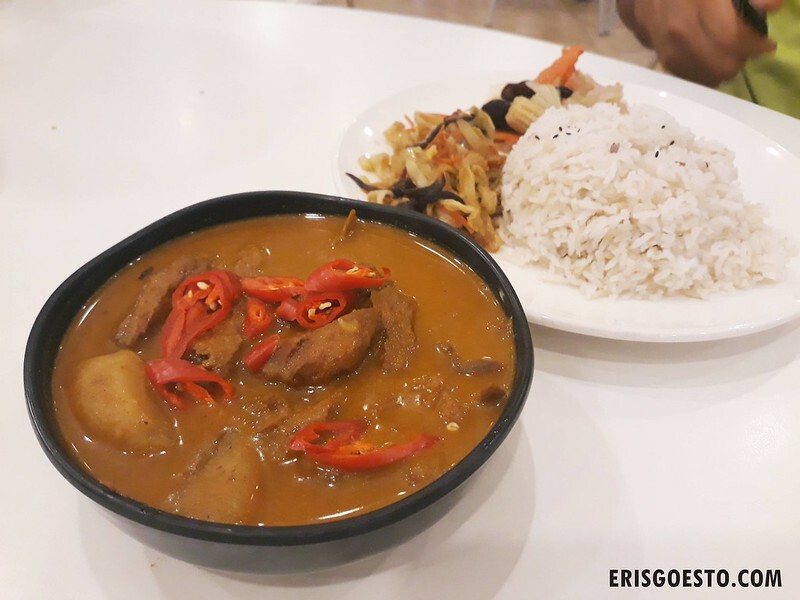 There are no shortage of vegetarian restaurants in and around Puchong, and one of these is Loving Hut, tucked in a corner shoplot in Bandar Puteri. 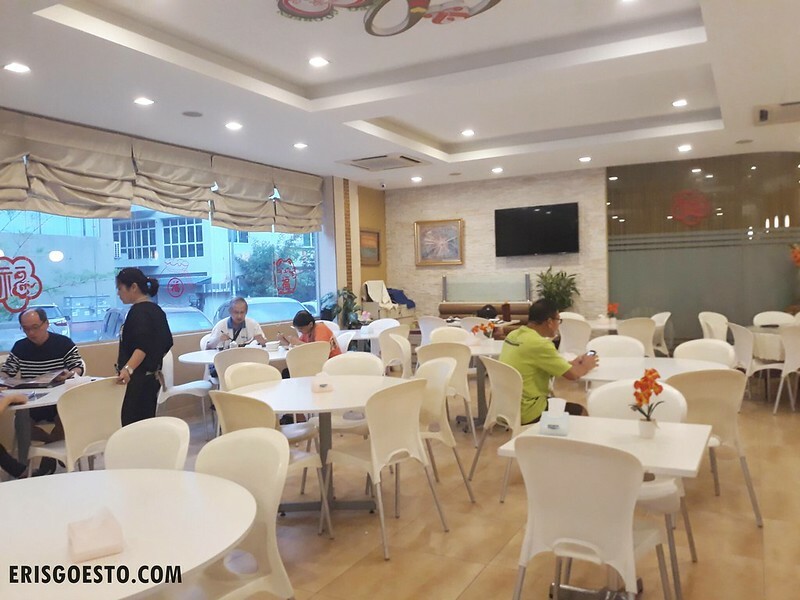 The resto has a nice ambience, is air conditioned and offers a wide selection of vegetarian cuisine, whether its dishes made from mock meat, rice, noodles and even some Western items like spaghetti. Cosy, white-themed interior. There is a small room at the back for private functions. Drink: Rose Tea. 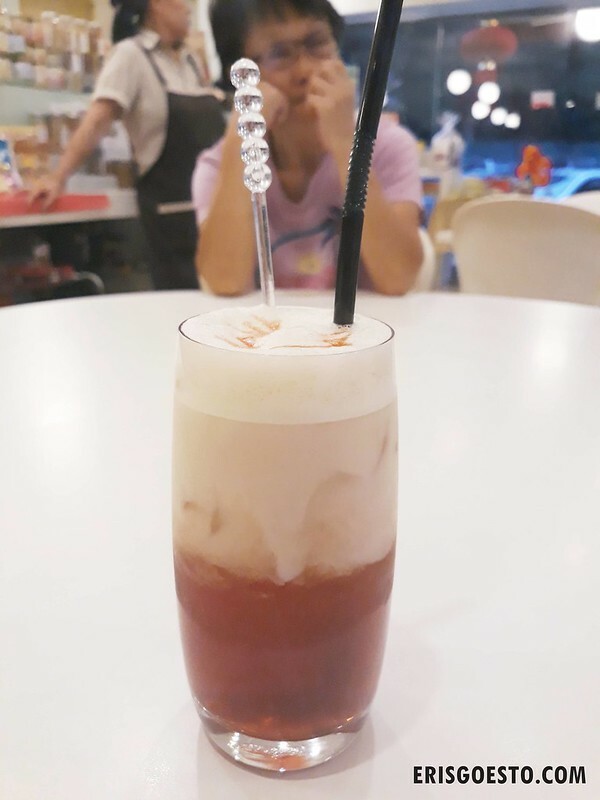 Very mild milk foam on the top, with just a hint of sweetness and a strong aroma of rose syrup. The dishes were on the pricier side, so we opted for individual meals. 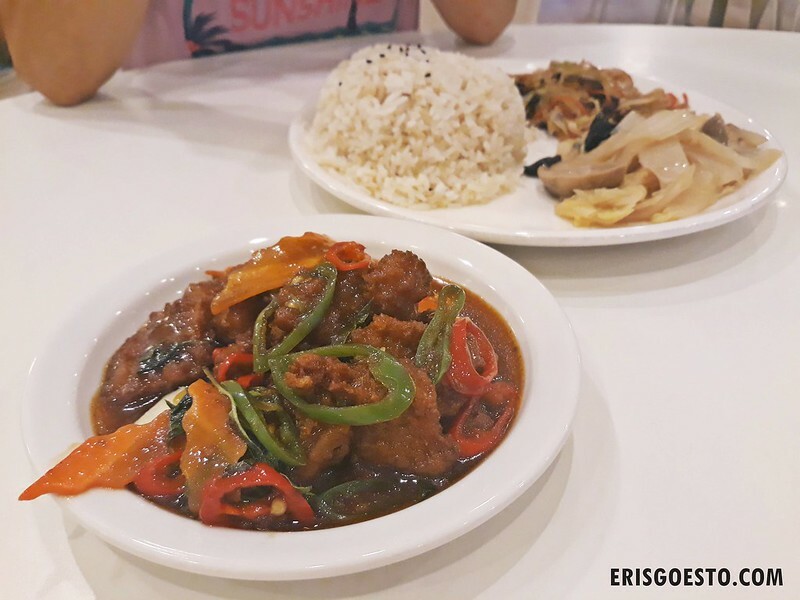 Moo’s basil ‘steak’, served with rice, two vegetable sides and soup. The ‘steak’ was basically deep fried mock meat with a crunchy texture. The basil stir fry was surprisingly fragrant and flavourful, while portions were generous. Pop’s had curry rice. Again, came with rice and two sides. The curry was pretty good, albeit a little ‘powdery’. The mock meat resembled mutton and had a chewy texture. I had the Spaghetti, topped with chopped mushrooms and mock meat, alongside some potato wedges and broccoli. 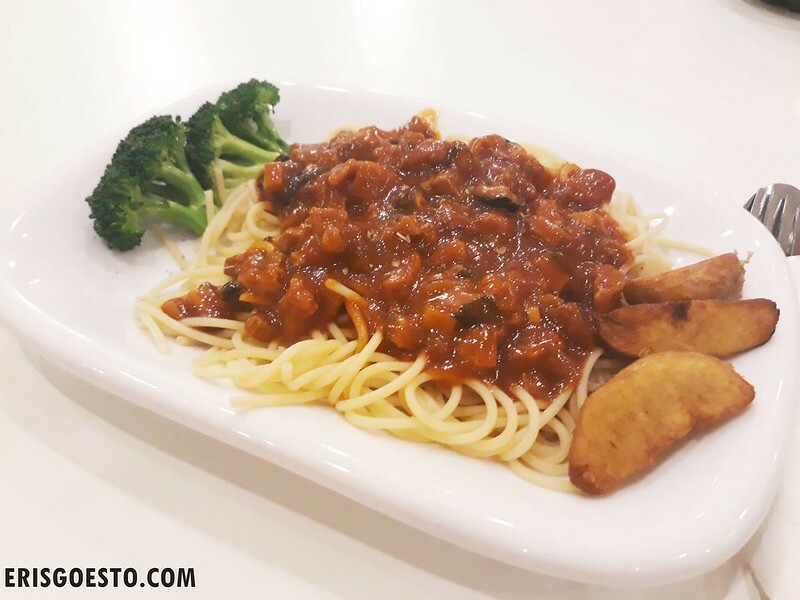 Although it lacked the flavour of actual meat, the mock meat + mushroom mix gave it texture and the tomato sauce was thick and tangy, leaning on the sweet side. Pasta was done al dente. The wedges weren’t crispy enough and mushy on the inside, but nothing much to complain about. 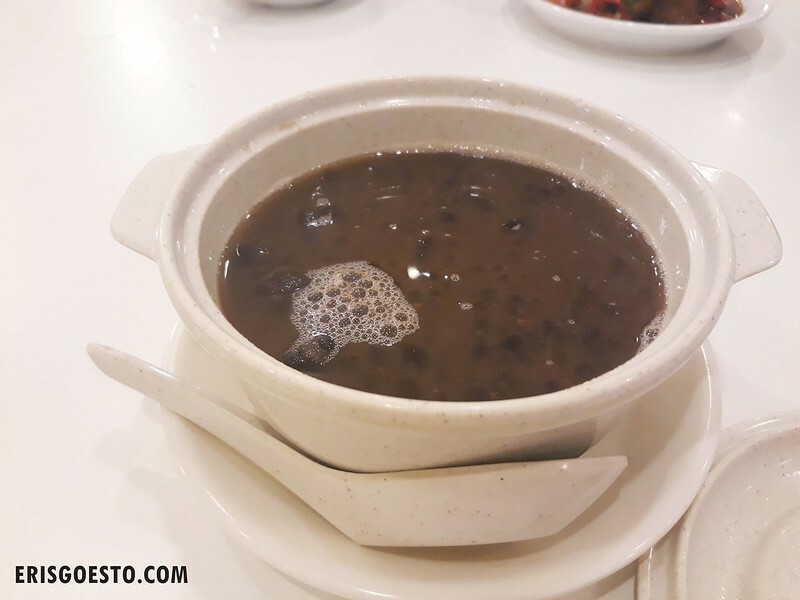 Pop’s dessert of red bean soup.